Managing physical documents is time consuming and the space needed for doing so is expensive, but managing digital files and documents is very daunting and complicated task for most companies, and requires a large resource allocations to be performed optimally. Digitising your documents will save space and reducing their costs dramatically. 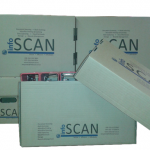 We can also arrange for auto-disposal of your outdated archived files, ensuring that your documents remain current. 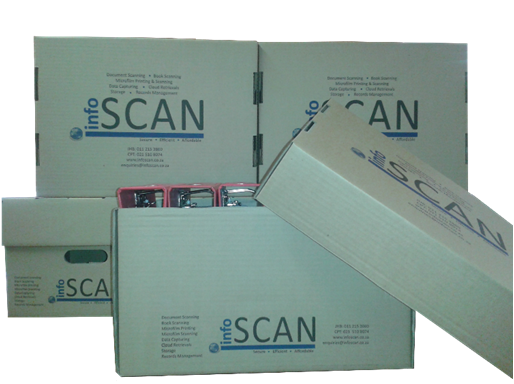 Infoscan Archive boxes are of the highest quality, double-wall Kraft board which folds into a 440mm x 325mm x 260mm box. The design allows a triple side handle and one-piece base for a more secure hold it also has a 100mm depth lid allows for additional space for your larger items. Our Storage facility is equipped with state-of-the-art cooling technology to ensure all documents are in their optimum temperature.